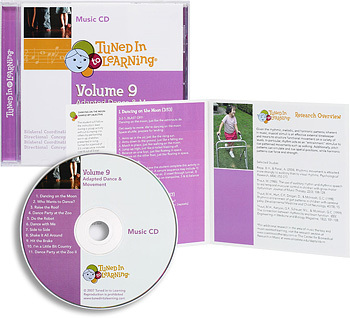 Tuned in to Learning helps you turn FUN into FUNctional educational outcomes! 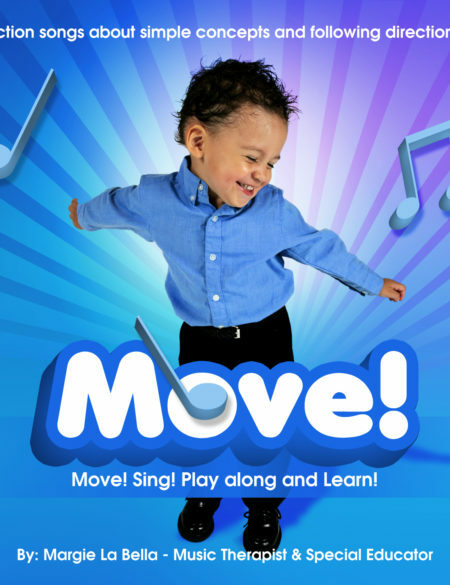 Inventive songs paired with vibrant visual supports give students a hands-on opportunity to practice and role play essential daily living skills and appropriate behavior. 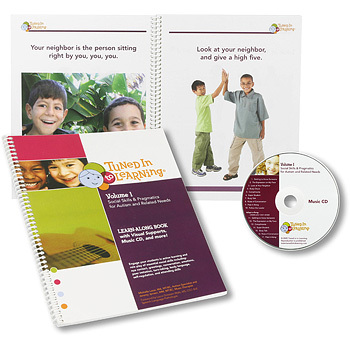 Different than typical children’s music, the Tuned in to Learning songs have been customized for special learners, including ample response time, simplified language, and repetition. 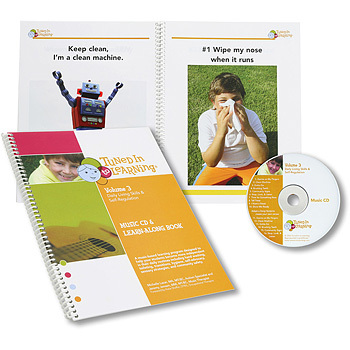 Each targeted task analysis or script is paired with an easy to remember song that is entertaining for a variety of ages, making it fun for students to learn hand washing, hygiene, toothbrushing, toileting, community safety, breathing techniques, transitions, and appropriate in-seat behavior. Song Titles: Germs on My Fingers – Clean Machine – Gotta Go – Brushing Teeth – Community Signs – Stop, Look, & Listen – Time for Something New – Tall Trees – I Want a Break – Show Me Ready. 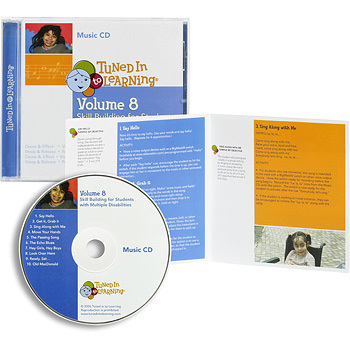 Music CD with 10 original songs and 6 Adapt-a-Song versions, allowing you to modify songs once students have mastered the initial content. Ideal for ages 3 and up, and appropriate for both individual and group use. To purchase the download of Tuned Into Learning Vol 3: Daily Living Skills and Self-Regulation for $29.98 click on the ADD TO CART button. Following payment you will receive an email with a link to download the CD and book.